Our lives are a reflection of our attitude. It can be easy to become negative and cynical toward the world without even noticing. With the continuous exposure to tragedy and injustice that we are exposed to daily, we can quickly start to experience our own heartache and distress. Not only is this negative attitude preventing you from enjoying your life fully, but it can also have a significant impact on your health and environment. Here are five powerful ways that you can begin to cultivate a positive mindset and change your life. There are times when a single event can ruin your entire day, and an unpleasant interaction can overshadow the enjoyable parts of your day. With this awareness in mind, you can intentionally focus on the good parts of the day by keeping a gratitude journal. Every night, before you go to bed, write down five things that you’re grateful for and see how your attitude changes. You have to get into the mindset that there are no dead ends, only re-directions. Don’t let uncontrollable events render you helpless. Learn to control the effort you put in and have fun with challenges that you encounter. Embrace challenges as a new adventure rather than attempting to resist an experience for growth. The words you use have a lot more power than you think. How you talk about your life is how your life will be. Your mind hears what you say about yourself and your life. If you describe your life as boring, hectic, chaotic, that’s is exactly how it will be. However, if you use the words familiar, involved, or lively, you will see your life in an entirely different light. A study conducted by the Warsaw School of Social Psychology determined that complaining leads to lower moods, negative emotions, and a decrease in life satisfaction and optimism. Don’t let other’s pessimism bring you down. If you don’t join in with the complaining, others will start to complain less as a result. The outcome of your day can be directly affected by your thoughts and actions when you wake up. 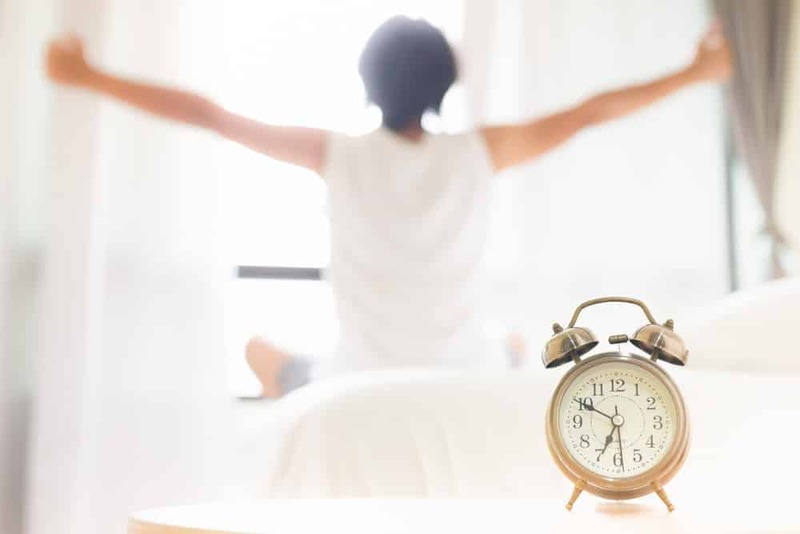 Mornings set the mood for the day, which makes it imperative to create a mindset that is positive. Start your day with excitement and enthusiasm and see how it affects the rest of your day. 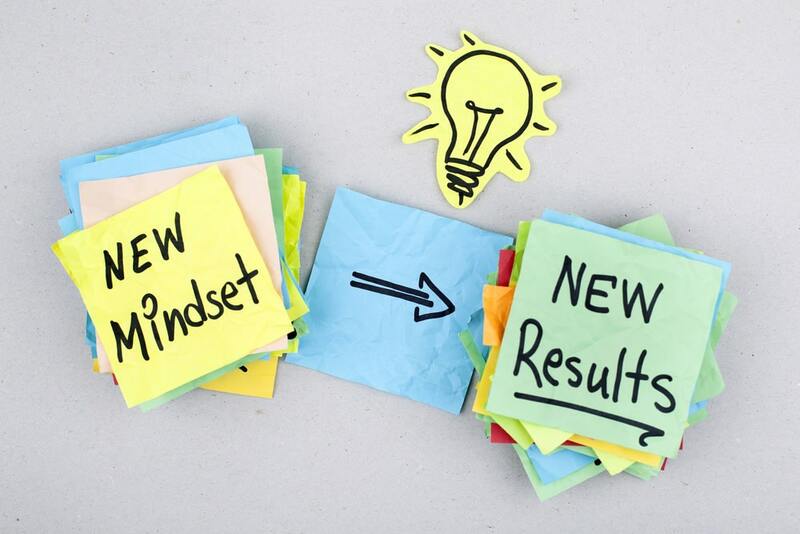 A shift in your mindset from negative to positive can have a dramatic impact on your life. Not only does a positive mindset trigger optimism, but it can help you achieve your goals. Start cultivating a positive mindset and watch how your life changes for the better. The post 5 Powerful Ways to Cultivate a Positive Mindset appeared first on Viral Rang. 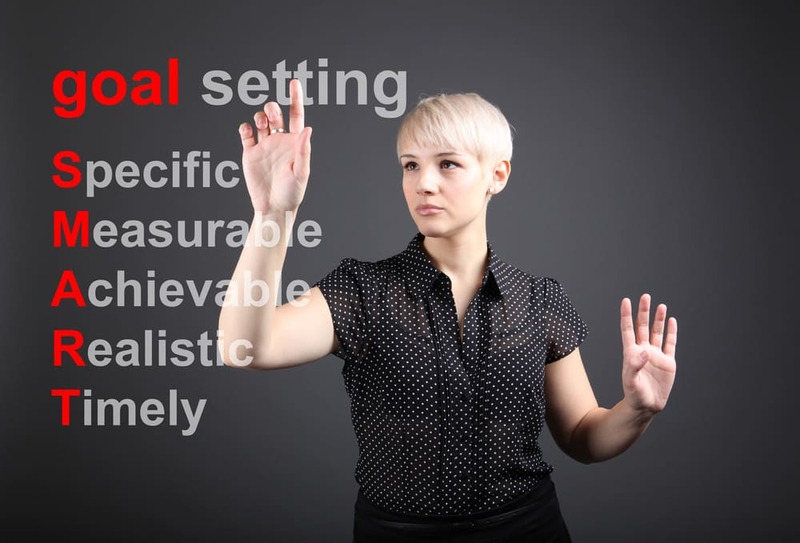 Goal setting is a powerful tool to help us get everything we want in life. The act of setting goals provides us with focus, and it shapes our dreams. It provides us with the ability to determine the exact actions we need to perform to achieve everything we want in life. We all need powerful, long-term goals to help us get past the short-term obstacles that life often throws at us. The more powerful our goals are, the more we can act on and guarantee we will be able to achieve them. The only way for you to decide what you want in the future and how you’ll get there is for you to know where you are right now and what your current level of satisfaction with your life is. First, you’ll need to take some time to think through your current situation, and then ask whether you’re okay with it or not. Evaluating your current situation gives you an objective way to look at all you’ve accomplished, and it shows you where you are currently, so you can determine where you need to go. One of the great things that we’ve been given is the desire to dream of a better life and the ability to set goals to live out those dreams. Everyone has dreams. They may be right on the surface, or they might be buried deep down inside of you. Take the time to be quiet and reflect on your dreams and determine how you can accomplish them. When you share your dreams and goals with others, they have the power to hold you accountable by asking you to keep them updated on your progress. Accountability helps to put some teeth into the process. A goal isn’t as powerful if you don’t have at least one other person who can hold you accountable. Setting S.M.A.R.T. goals will ensure that you have the tools you need to achieve them and that you are successful in reaching them. Everyone wants to make a difference in their lives and accomplish something big. When you set powerful goals, you can increase your chances of getting everything you have ever wanted in your life. By sticking with your goals, you will be one step closer to being the person that you always wanted to be. The post Top Tips for Setting Powerful Goals appeared first on Viral Rang. I remember my first day in high school. I was telling myself, “When I get into the right college, I will be happy.” I had my eyes set on a “Public Ivy” in California. Public Ivys are Ivy League-level colleges and universities that you pay pennies on the dollar for. In other words, you get an Ivy League education without burning a hole through your pocket. Because that’s exactly what you would be doing if you went to Harvard, Yale, or any other Ivy League university. So after four years of college, I graduated. I got that diploma in my hand, went through the graduation ceremony, and got myself my first corporate job after 6 months of looking. It was a huge insurance company in Southern California. But by then, I said to myself, “I’ll only be happy once I get to graduate school.” Do you see the pattern? Well, guess what? I’m hardly alone. Most people think this way. What they do is they set up a goal, and once they get to the goal, they kick the can down the road and set that time or that moment of happiness further ahead. If we’re not careful, we keep kicking that goal post further and further down the road until we kick it one last time and we find ourselves in a coffin. We never reach that point. Now, believe me, a lot of people would make all sorts of excuses for thinking this way. Don’t you want to set high standards for yourself? Don’t you have any ambition? Why do you have to aim so low? Why do you have to focus on the here and now? That’s for losers. Winners think big. Winners think about the future. Winners make the future. Believe me, I understand this frame of mind because that was my frame of mind for a very, very long time. But there’s a lot lost in translation. It turns out that, for the longest time, I was looking at happiness as some sort of destination. It’s something that you arrive at when you map out your personal happiness in terms of getting from Point A to Point B. It turns out that it is not like that. I know you probably have heard this saying many times. Maybe you’ve even seen it on a bumper sticker. “Happiness is not a destination. It is a journey.” Guess what? It is absolutely spot on. A lot of people think that happiness has to have some sort of golden standard. If they don’t meet that standard, then they are not really happy. They are just playing games with themselves. They are just fooling themselves. Well, guess what? You’re more than welcome to think that way, but let me tell you, the end result is all too predictable. You will never be happy. There will always be something missing. Things will not always be as bright, as fulfilling, and as complete as they could be. Thankfully, there is an alternative. You can discover the power of enough. You can be happy enough. You can be content enough. You can be fulfilled enough. You just have to know what “enough” is. And the good news is that every single moment you’re alive, you can make the decision to decide whether this is enough for now. That’s the best you can do. I wish somebody told me this when I was a younger person. Thankfully, there is a way you can train yourself to learn to be happy enough. This is not self hypnosis, this is definitely self delusion. Instead, you learn how to let go of a lot of mental baggage that is holding you back and dragging you down from being fully happy. You don’t want to live your life on autopilot only to discover, at the last moment, that you were never really happy nor content. By then, it’s too late. So avoid that tragic end. Click here for a 100% natural, 100% chemical-free approach to personal happiness that you yourself control. It doesn’t involve a cult, it doesn’t involve any sort of religion or mystical movement or philosophical school. Instead, it taps into something that you already have. The post Is There Such a Thing as “Happy Enough?” appeared first on Viral Rang. 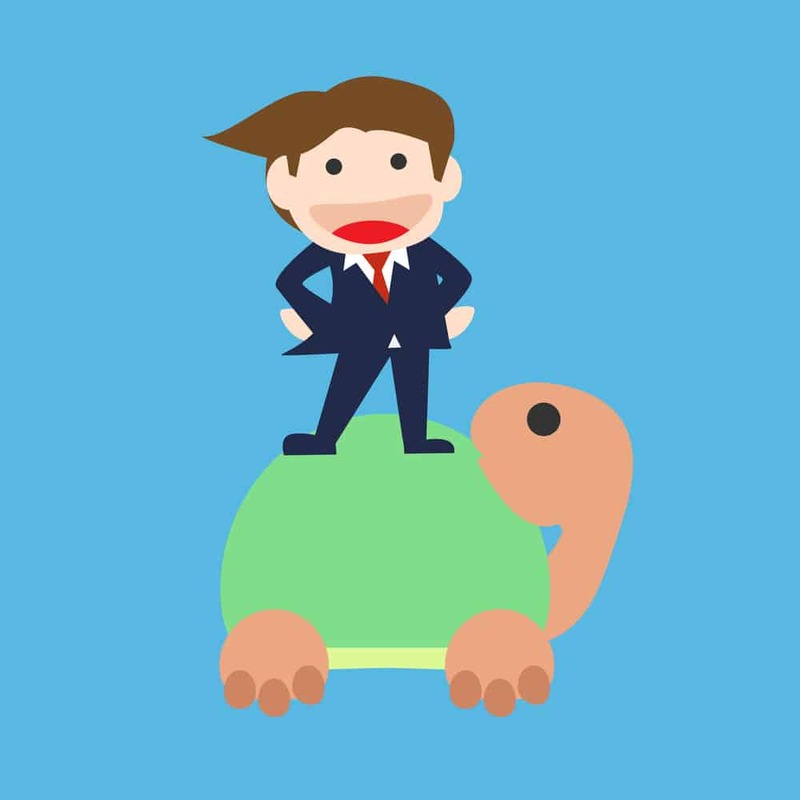 Is Your Work Slowly Killing You? How many times have you come across people who say to you, “I am (insert occupation here).” These people, and they’re all over the place, define themselves based on what they do. I understand where they’re coming from because, for the longest time, in the Western world at least, we are what we do. In fact, a lot of philosophers would take things to the next level and say, “To do is to be.” In other words, to work is to have meaning. I understand that. I get that perfectly. But there is such a thing as balance. If you think that your work gives you meaning, that’s all well and good. But you have to know the bright lines that exist between your personal life, your work life, and every other life that you live. Believe it or not, people have many different lives. There is your relationship life. This involves your interaction with your loved ones. There’s your personal life. This involves how much time you put into exercise, taking good care of yourself, and managing your health. There’s also your financial life. You probably don’t need me to remind you of what goes on there. And so on and so forth. We have many different lives. But the problem is, when we allow work to define us, it’s as if it is the only life we live. Pretty soon, unless you are aware of it and you take action on it, it impacts what you think, what you say and what you do. Let me tell you, I know this is probably going to be depressing, but imagine seeing somebody in a funeral home, lying there in their coffin during a public viewing. Imagine that person, somehow, some way, was able to speak to people in the viewing. I know this is kind of horrific and scary, but bear with me. Do you think that person would sit up and say to the people, “Yeah, I wish I had more time for work. I wish I took my work more seriously.” Of course, not. Unfortunately, we often wait until the final hour or the final second to get a clue as to what truly matters in our lives. This really is quite sad. And unfortunately, when we allow work to basically creep into all the other lives that we lead, as well as all other areas of our life, it become some sort of cancer. You know how cancer works, right? It turns other cells into itself. Cells no longer are differentiated, and they live permanently. Their job is to just spread, and they never die. And this is the most appropriate analogy to work because regardless of how many hours you put into it, regardless of how much focus, sacrifice and willpower you aim at it, there will never be enough. It will just want more and more and more. And at the end of the day, what exactly do you have? Money? Well, money rots in value. Just look up inflation. Power? Well, you’re here today and gone tomorrow. Fame? Don’t even get me started on fame. Focus on the things that matter. Keep things in perspective. Sadly, once you develop this cancerous mental attitude towards work, it’s really hard to stop. It’s like trying to push back against a runaway train. Thankfully, there is a built-in “fail safe” mechanism locked in the minds of every single human being. This mechanism is 100% natural. You don’t have to take any drugs, you don’t have to ingest any chemicals. It is also 100% under your control. It is not hypnosis. You are not joining some sort of cult. Nobody’s going to tell you what to do with your life. Instead, it’s the biggest thing that you can do for yourself if you want peace of mind because your work has taken over your life. The post Is Your Work Slowly Killing You? appeared first on Viral Rang. Posted on July 29, 2018 Tags viralLeave a comment on Is Your Work Slowly Killing You? Are Anti-Anxiety Medications Grinding You Down? When people read the title of this, they probably would wonder if there is some sort of typo. Anti-anxiety medications are supposed to mellow you out. They’re supposed to prevent you from always feeling on edge. Why the title? What exactly is there to grind down? In fact, in the minds of many people, anti-anxiety medications prevent you from grinding yourself down with needless worry. After all, anxiety is all about spending a tremendous amount of mental energy and firepower thinking about stuff that has not yet happened. You blow things out of proportion, you’re always feeling that you’re going to lose out on something, or something very bad is about to happen to you. But despite the fact that these rarely turn out, you keep repeating the process. Isn’t anti-anxiety medication good news? Doesn’t it free you from that endless and annoying cycle of needless worry? What exactly is there to grind down? Well, if you believe this, you’re only looking at one side of the equation. You’re actually giving up a lot when you take anti-anxiety medication. You’re rewiring your brain. Put more specifically, you’re changing the chemical patterns of your brain. Now, if you are genetically predisposed to anxiety, then that’s an entirely different matter. In that situation, you really have no option but to take anti-anxiety medications because you require biochemical intervention. 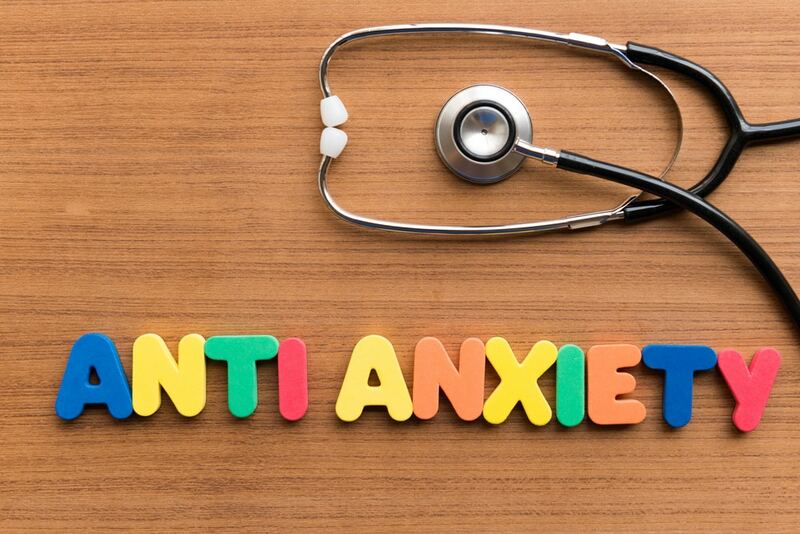 However, for the rest of us who suffer primarily from external or environmental triggers, we are paying a high price if we take anti-anxiety medications to take care of daily anxiety levels. I understand that it upsets you. I understand that it throws you off. Those are definitely uncomfortable situations to be in. After a while, if you feel that you just have all this free-floating anxiety, it feels like you’re living in some sort of mental prison. Believe me, I get that. I understand it. But you have to look at it from the other perspective as well. You’re paying a big price because you are flooding your brain with neurotransmitter chemicals when you don’t have to. What if I told you that there is an alternative? What if I told you that you don’t have to use chemicals? The interesting thing about anti-anxiety medication is that it dampens your mood range. While it definitely does a great job of freeing you from this all-abiding sense of fear or worry, it also dampens your good moods. Remember the first time you kissed somebody? Do you remember the first time somebody told you they loved you? Well, imagine that happening and anti-anxiety medication is just lopping off 50% of the emotional impact of those experiences. That’s exactly what’s going on. It’s kind of like burning down your house because you’re trying to get rid of rats. You pay a high price. I hope you’re aware of the sacrifice that you are making. Thankfully, there is another path. Anti-anxiety medications are drugs, okay? Let’s just get that out of the way. They are drugs because you’re introducing foreign chemicals into your system. Sure, there are neurotransmitter chemicals that your brain doesn’t produce enough of, or environmental pressures reduce their load, but at the end of the day, you’re still introducing these chemicals into your system. You pay a high price for that. Let’s not kid ourselves. The good news is that there is an alternative. It doesn’t involve drugs. That’s a big deal. It doesn’t come from outside of you. It’s all from within. In fact, it works with the machinery that your mind already has that enables inner calm. What if I told you that your mind actually has a self-correcting system built within it? Otherwise, you would have gone crazy a long time ago. Otherwise, you would have killed yourself because of worry a long time ago. It’s working at some level or another. You just need to tap it. The best part to all of this is that it’s cheap, you can do it yourself, and it is 100% natural. Click here for more details. The post Are Anti-Anxiety Medications Grinding You Down? appeared first on Viral Rang. Posted on July 29, 2018 Tags viralLeave a comment on Are Anti-Anxiety Medications Grinding You Down?